Not 24 hours after Mark Zuckerberg mentioned in the company’s earnings call that we should expect a more multi-app strategy from Facebook this year, the company has now released its latest application on the world, Paper. A team of 15 product developers, including VP of product, Chris Cox, argue the app re-envisions how people discover and create much of the content on the social network. As a result of years of effort, the app will be available for iPhone users on February 3rd. Instead of scrolling through a familiar Facebook news feed, paper has been described as flipping through a deck of cards – each card representing one of 19 different sections, ranging from tech and sports, to pop culture and ‘LOL’. Unlike Facebook’s usual algorithmic nature, editors at the company hand pick what they believe you to find the most interesting and popular stories shared by others. 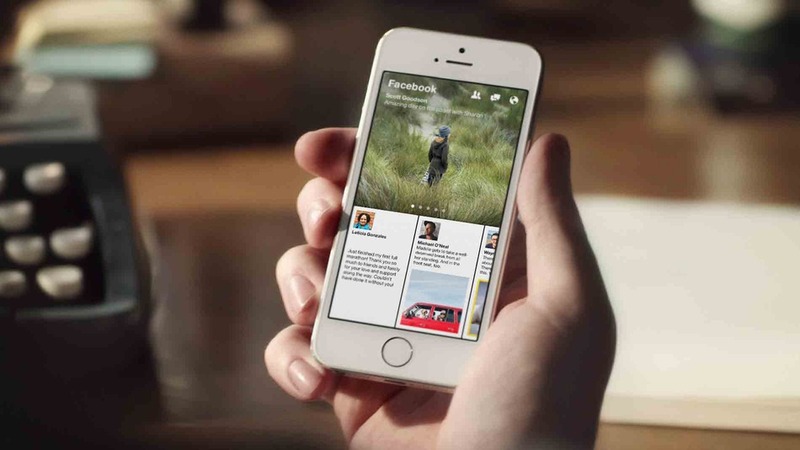 Additionally, anything shared via Paper will appear on a user’s Facebook time line. The now $150 Billion company releases the app with no advertisement opportunity for brands quite yet. What the future holds for it is yet to be seen, based on its initial popularity.